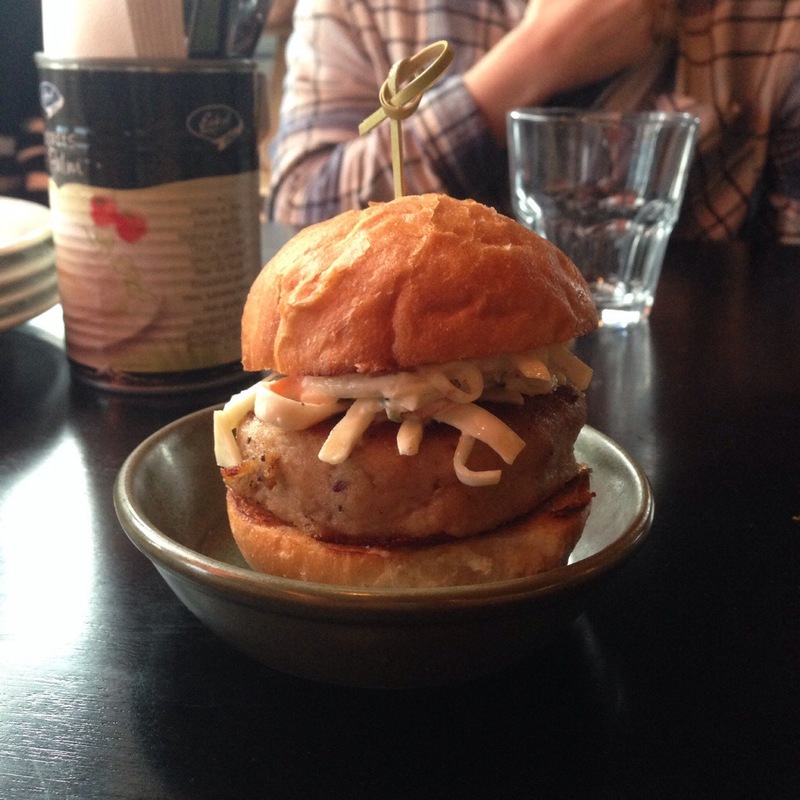 The Cabin Small Bar is a fantastic tapas bar on cold winter nights, and now they also offer weekend brunch from 11am. We’d booked for when they opened and settled in for a leisurely Sunday brunch with a couple of friends. 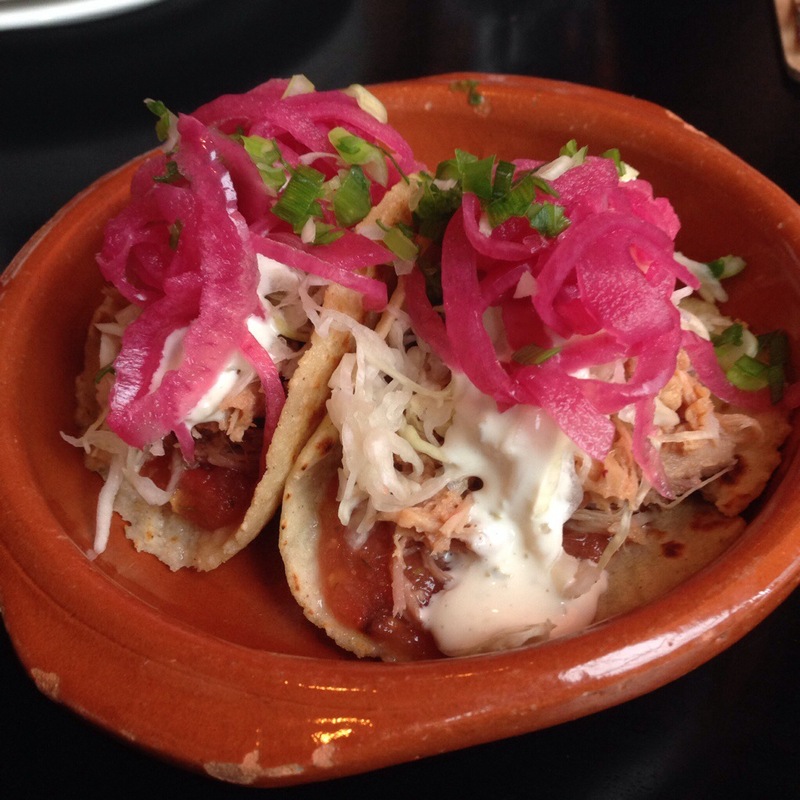 Every weekend they offer a select few dishes just for brunch, but you’re also able to order whatever you like of the tapas menu. The atmosphere was quiet but there was the same warmth and coziness of our last visit. The Cabin retains it’s rustic charm in the daylight hours and the clientele in much the same, parties of foodies out to socialize and a number of couples on intimate dates. 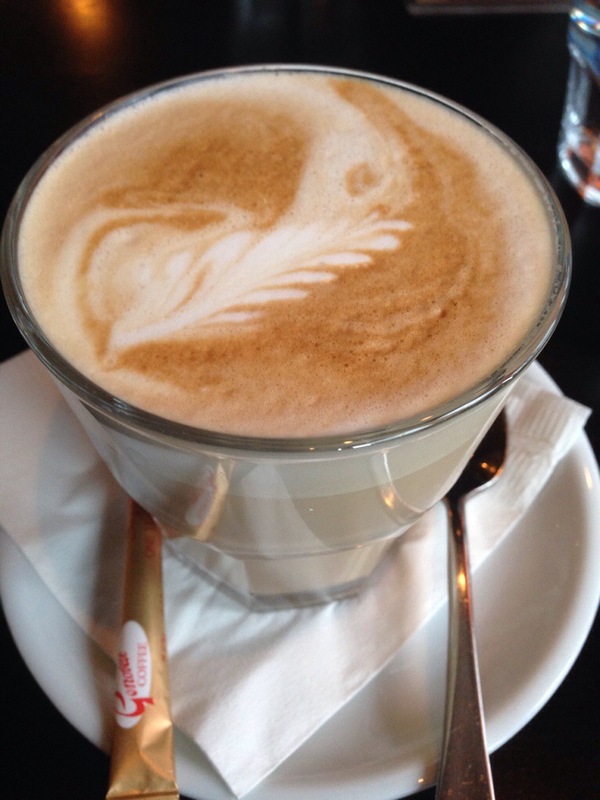 We started our meals with coffee, we weren’t sure what to expect considering breakfast, and indeed coffee is a new venture for the small bar but we were pleasantly surprised. A couple of lattes ordered over the course of the meal were the perfect drinking temperature, a nice flavour and consistent across the two. The wondrous thing about the Cabins brunch menu was it allowed one of our friends the opportunity to at long last ask for everything on the menu. So there was only three options, at a total of $40, but hey when the opportunity comes up, you take advantage of it! 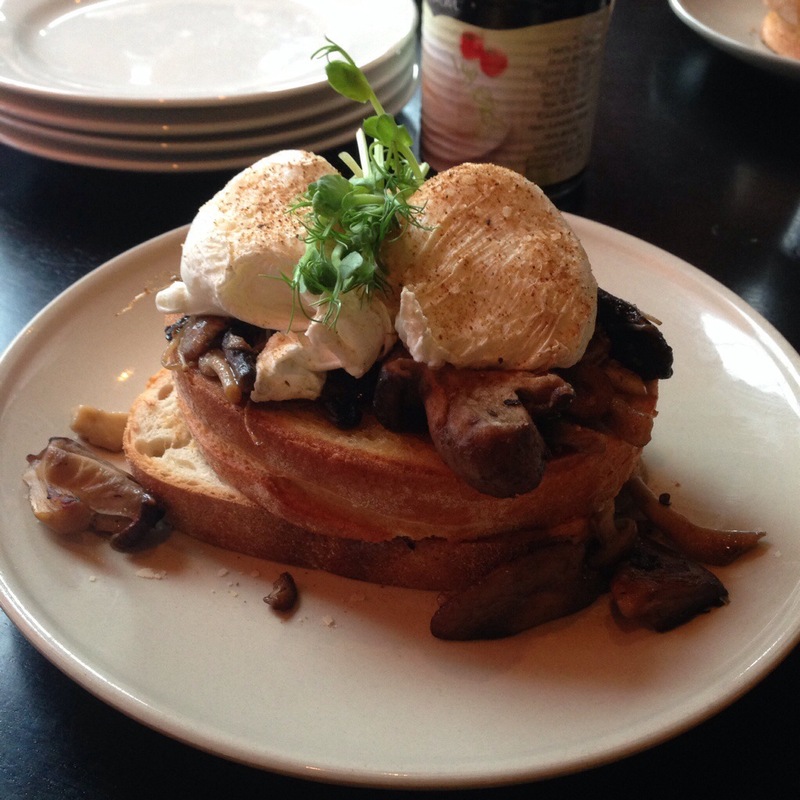 We enjoyed all the dishes but the best was the truffled poached eggs on toast. Truffles are in season and any dish that capitalizes on it are great in our books! On a craving they were also happy to provide poached eggs and bacon on toast. Something so basic doesn’t usually illicit much praise but this was really yummy. 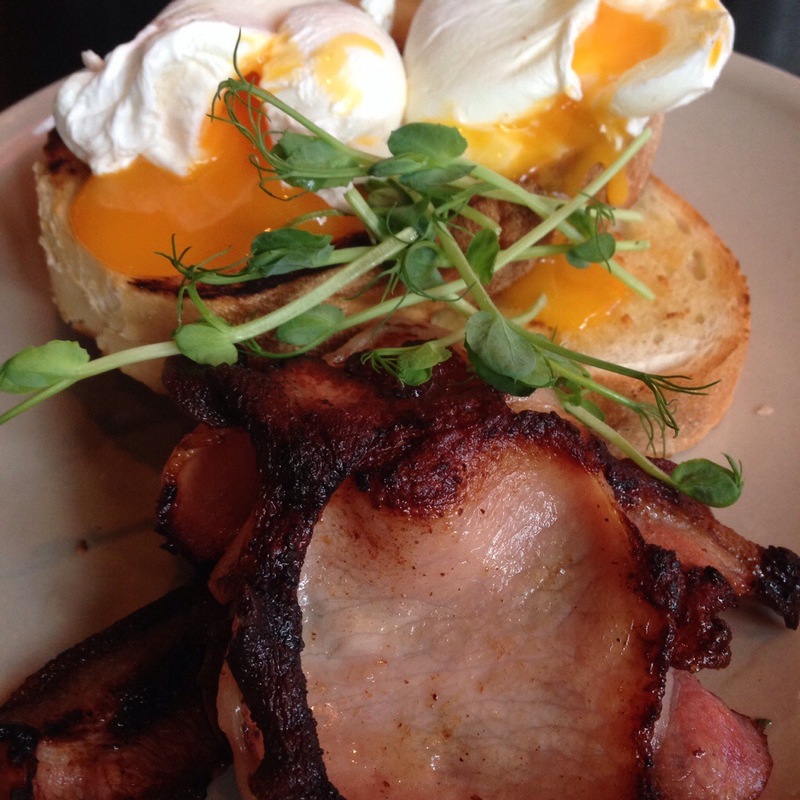 Buttered fresh toast, smoky bacon and oozing poached eggs really hit the spot! 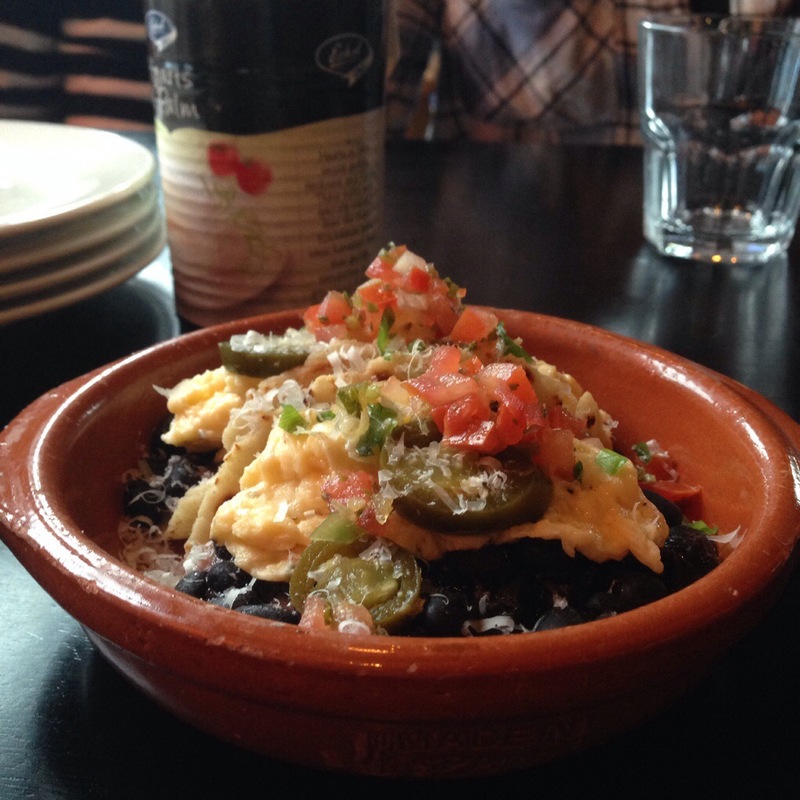 We also ended up with some tacos off the full menu, intending another order of the black beans tacos. We liked the look of them and decided to run with it. We believe it was some kind of pork with a touch of spice to the sauce. Whatever it was we rather enjoyed it! The Cabin’s breakfasts are like their full menu, tapas based and able to be shared, so be warned that you may need to order the whole menu like we did to get enough food. It’s also limited and changing on a regular basis so you’ll have to check ahead for your weekend choices or try your luck!